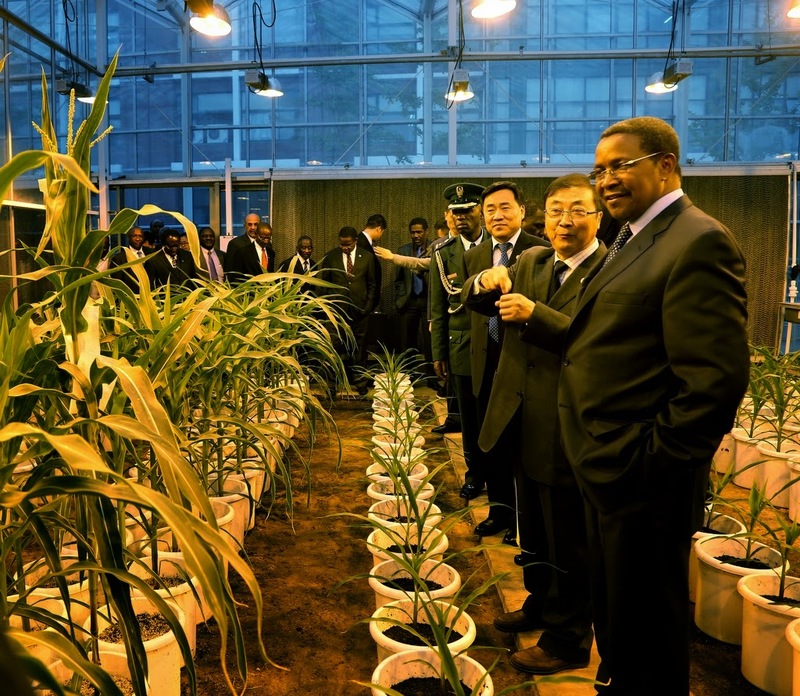 President Dr.Jakaya Mrisho Kikwete tour the greenhouse shortly after he arrived at China Agricultural University this afternoon. 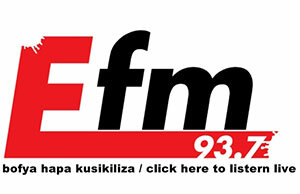 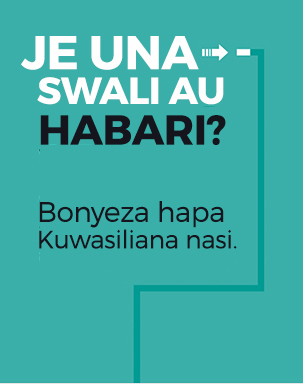 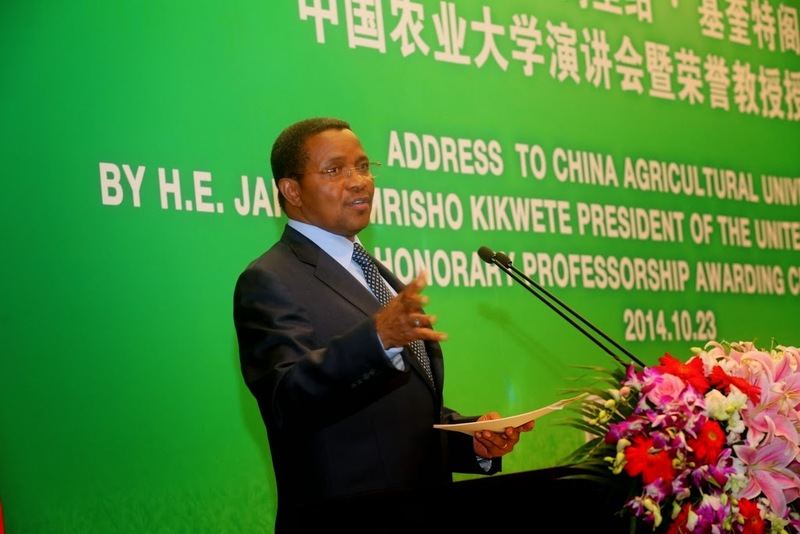 President Kikwete later addressed the University students and lecturers on the agricultural development in Tanzania before being conferred Honorary Professorship. 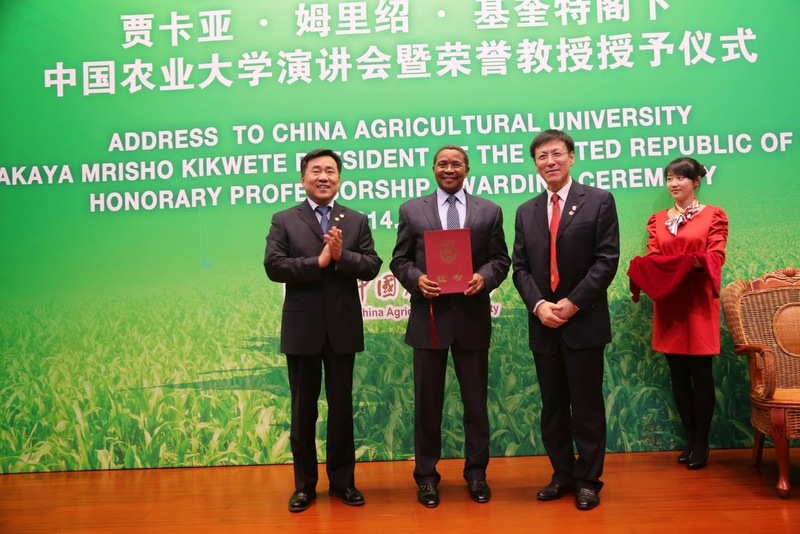 President Dr. Jakaya Mrisho Kikwete being awarded Honorary Professorship at the China Agricultural University in Beijing this evening. 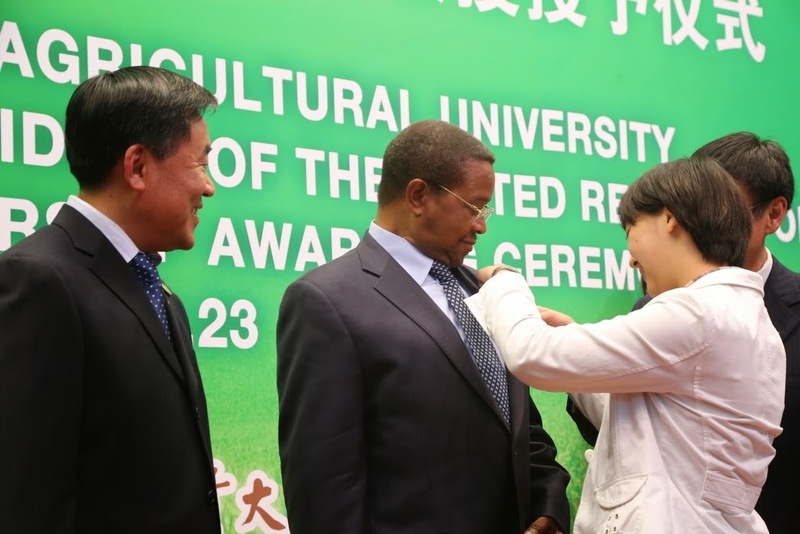 On the left is Chair of the University Council Jiang Peimin and on the right is the University’s President Professor KE Bingsheng.